3 Beds 3 Baths 1 Partial Bath 1,632 Sq. ft. 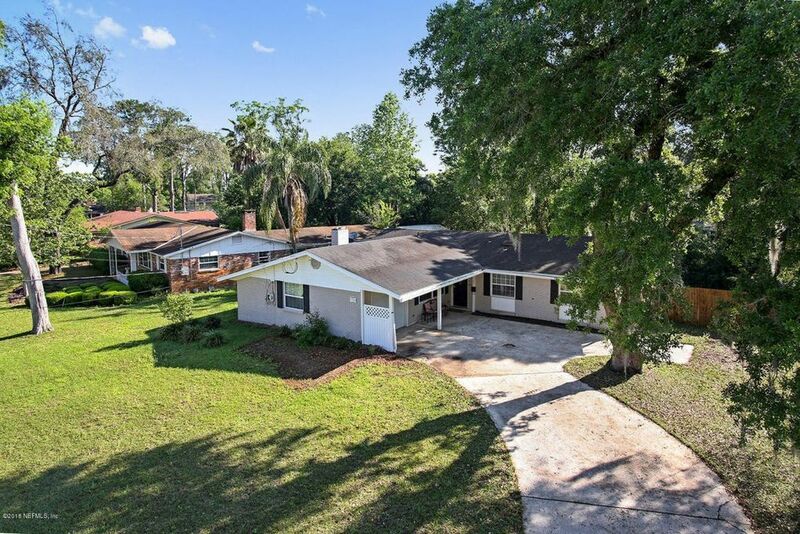 Welcome to this charming 3 bedroom, 2.5 bath home in the well established neighborhood of Hyde Grove.This welcoming ranch style property greets you with an extended driveway that leads to the courtyard garage entry. Upon entry into the foyer there is a great view of the den with fireplace and a half bath. The galley style kitchen overlooks the great room and leads to the 3 spacious bedrooms. Out back enjoy your spacious fully fenced back yard. There is still down payment assistance available to purchase this property for those that qualify. Directions: From I-295, East On Normandy Exit. Right On Memorial Park Rd. Right On Old Middleburg N. Left On Hanson. Left On Londonderry.